Since it is Springtime and close to Easter, I decided to make a lap blanket with a bunny on it. 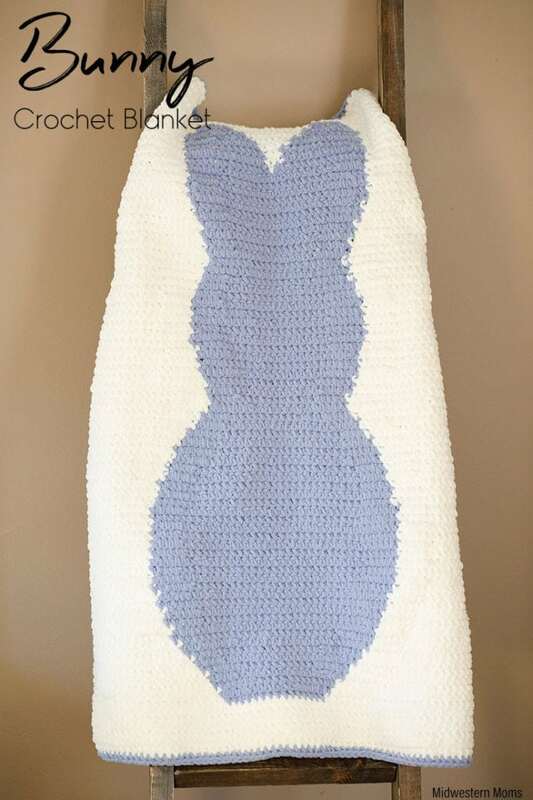 I modeled the blanket off of the bunny dishcloth pattern I made previously. I chose to make this blanket with Bernat Blanket Yarn because I knew it would allow me to crochet faster and little kids LOVE how soft the yarn is. 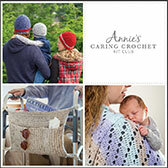 This pattern uses all single crochet stitches. I cut all the yarn and weaved the ends in when I had completed the blanket. However, I did carry the yarns when working the bunny ears since the color changes were smaller. Please note, some rows are grouped together since they have the same stitch counts for color changes. The size of the blanket ended up being 36 inches wide and 48 inches tall. Now it is time to add a border. For the border, I switched to Color B and single crocheted around the blanket. I placed 2 single crochet stitches in each corner. To get a nice clean printable version of the pattern, please enter your email in the form below. The pattern will be emailed to you.